How much evidence do you need before you accept the idea that Mars was once teeming with microbial life forms? Would two meteorites sent direct from the surface of the Red Planet that are filled with fossils convince you? Then get ready to yell “I believe!” Scientists given permission to take a thin slice out of a proven Martian meteorite have discovered “mineralized biosignatures” – minerals altered by the presence of microbes and their mineralized fossils. Does this call for champagne or a Martian red wine? “FeOB” stands for “iron (FE)-oxiding bacteria and it was discovered in the meteorite ALH-77005 Shergottite discovered in Allan Hills in Antarctica in 1977 and named for the Shergotty meteorite found on the planes of Sherghati, India in 1865 and subsequently proven to be the first known meteorite that was once a part of Mars. In their paper published in Open Astronomy (with pictures), Ildiko Gyollai, Márta Polgári and Szaniszló Bérczi from the Hungarian Academy of Science (HAS) Research Centre for Astronomy and Earth Sciences described how they used optical microscopy and infrared technology along with isotope tests to identify signs of bacteria which survive by eating iron rust – FeOBs. Hold on! How do they know Earth FeOBs didn’t leave their signatures on this meteorite after it landed? Good question, but the team is way ahead of you. So, the key indicators do not appear near rims and fractures that would allow them in after the meteorite arrived on Earth. 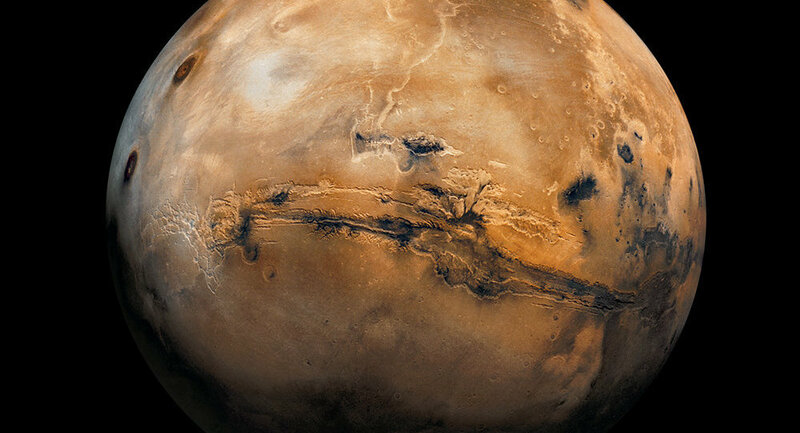 Were any of the microbes alive when the chunk left Mars? That’s possible, but the impact that knocked the large piece out of the Red Planet that became one or more meteors occurred four billion years ago, while the meteorites didn’t come to Earth until about 13,000 years ago. Reports on the study point out that this is the second Martian meteorite to show signs of life. 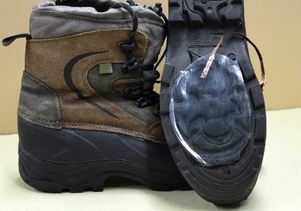 The first, ALH-84001, also came from the Antarctic Allan Hills and microbial indicators were discovered in it in 1996. They also note that skeptics say the features could have non-organic origins, but neither can be proven conclusively. There’s only one way to do that – more Martian mining rovers or hole-digging humans. Are aliens hiding a city-sized space station behind our moon, just peeping around the back of it from time to time, in broad daylight and clear skies, to see what we’re up to? That’s what a video posted online recently claims to show. As I’ve postulated before, maybe aliens are trying desperately to get our attention but we’re so thick-headed and resigned to disbelief that they’re forced to keep upping the ante. They tried crop circles, but no one cares about corn. They tried blowing up our cows, but no one cares about cows. They tried shutting off our nukes, but apparently no one cares about nukes either. They’ve sent down mothman, bigfoot, the men in black, time and time again and the people of earth see these impossible things and say “nah.” Alright, they think, time to bring out the big guns. Show ’em the mothership. The video in question was posted to YouTube by a user named Danil Tumanny—you can watch it here—and gained traction when it was picked up by the popular YouTube channel UFOmania. It seems to show an impossibly huge UFO flying near the moon and disappearing behind it. The UFO looks like a classic doughnut shaped space station like you would see in nearly every piece of science fiction. It’s also what a real giant space station would probably look like. The video was shot in broad daylight, in a cloudless sky. 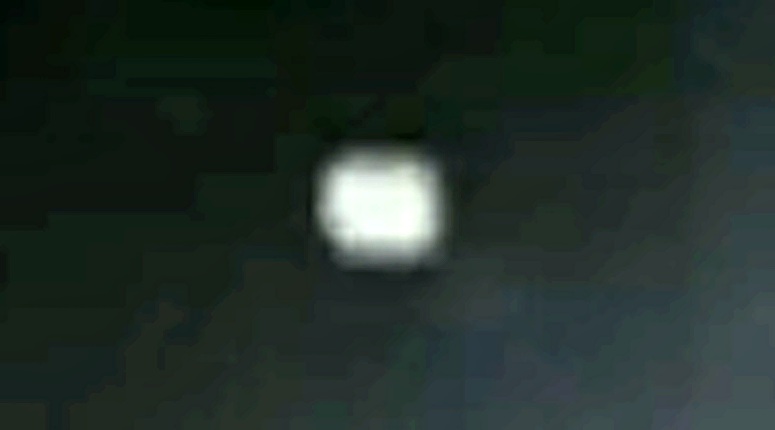 The camera shake is reduced to a minimum, while still being within the limits legally required for a UFO video. It looks like this, basically. 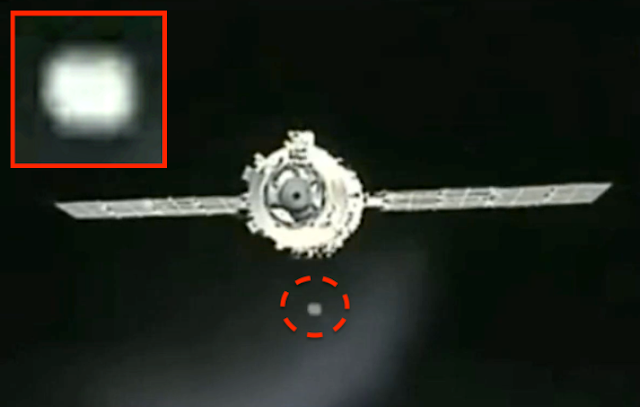 It sure does look like a big ring of something weird flying around the backside of our beloved satellite. But, like always, there’s a few problems with this video. First, the video is title “123,” has no description, and is tagged in the category “music.” There is no music. We have no details on where, when, or how this video was shot, so there’s no way to check if anyone else saw something strange. But that shouldn’t really be an issue considering problem number two: If a ship the size of New York City was flying around the moon, in broad daylight, someone else would have seen it. He’s not in the middle of nowhere, you can hear traffic in the background of the video. There’s 7.53 billion people on this planet, and no one else said “well would you look at that?” Maybe the aliens need to up the ante a bit more, because apparently no one cares about city sized spaceships orbiting the moon, either. Maybe something like this is all that will get our attention. Lastly, when the ship crosses behind the moon it looks like that edge of the moon sort of flattens out as the ship crosses behind it, which would be proof that it is computer generated. I could be wrong, but this video just doesn’t seem authentic. I don’t want to call it a hoax, because I don’t think that’s what it is. I think a dude was testing out his video editing skills and uploaded the video to YouTube, probably to show a friend or collaborator and never meant for it to gain traction—hence the “123” title and the very wrong category. The video itself doesn’t claim to show anything. Which makes me a bit more comfortable, honestly. If there was a giant doughnut orbiting the moon and still no one cared, we’d have some big problems on our hands. They say that truth is stranger than fiction. And they are right – whoever “they” actually are. For me, at least, this really hit home on an expedition I made to Puerto Rico in 2010. It turned out to be one of the most memorable, and strangest, of all my many treks around Puerto Rico, in search of the Chupacabra. It was a Thursday afternoon in January, and, as so often happens, I got a telephone call out of the blue from a television production company that was interested in having me on a new documentary that was just about to be filmed. One of the first questions that the researcher asked me went something like this: “Do you know of any witnesses to the Chupacabra who we can speak to?” Well, yes, I did. Plenty of them. I still do! One of the witness was a woman named Guanina. I met her several years earlier – on a previous TV shoot on Puerto Rico. She lived in Moca, situated on the west side of the island, and which was founded in 1772 by one Don Jose de Quinonez. It had been some time since I had first briefly met Guanina, but I told Mark – the guy behind the show – I would give her a call and see if we could get things moving. Fortunately, she remembered me; we had a laugh and a joke on the phone about how, on my earlier trip, all the kids in the neighborhood had come running out to see what was going on when we did a bit of background filming on the outskirts of Moca. Guanina had been a godsend: she and her husband ran a small café and had generously supplied us with plenty of water and soda, as the cameras rolled under a merciless sun. We were soon to interview Guanina. Mark thought we were going to get a definitive tale of the Chupacabra. What he got, however, was something very different – but something very intriguing, too. Around 2:00 p.m. on the afternoon of our first day of investigation, Mark and I arrived at the café. Guanina gave me a big hug, thrust a cold can of Sprite into my hand, and dished up for me a great meal. Guanina, forty-something, dark-haired and tanned, had an interesting theory about a creature that, back in the mid-1970s, became briefly legendary in the area. It was known as the Moca Vampire, a winged, blood-sucking monster. It was a theory, however, that dated back to around 1987. Mark, barely able to contain himself, eagerly set up his camera and started rolling, as Guanina and I settled back in our chairs to chat. A teenager back in 1987, Guanina used to enjoy walking the hills around Moca. That is, however, until a decidedly traumatic, and even horrific, experience occurred in May 1987 and put paid to all of that. As she strolled around the pathways, Guanina suddenly heard the unmistakable screech of a pig in distress. She raced up the hill, for a further forty or fifty feet or so, and was confronted by a shocking sight: six or seven monkeys were viciously attacking the poor pig, which, by now, was on the ground and clearly close to being in mortal danger. Guanina shouted at the monkeys, which suddenly ceased their attack, and turned their eyes away from the pig and onto Guanina. For a second or two, there was a tense stand-off. Fortunately, however, the monkeys merely made violent, screaming chatter and then raced away into the deeper grass of the hill. Equally fortunately, the pig – although obviously traumatized, but not physically hurt – unsteadily rose to its feet, stood around for a few minutes, presumably trying to get its bearings, and then wandered off into the undergrowth. Not surprisingly, a terrified Guanina raced down the hill to the safety of her home. When Guanina told her parents what she had just seen, all three decided to look into the matter further. Scanning various books in the local library, they were soon able to identify the attacking animals as Rhesus monkeys. 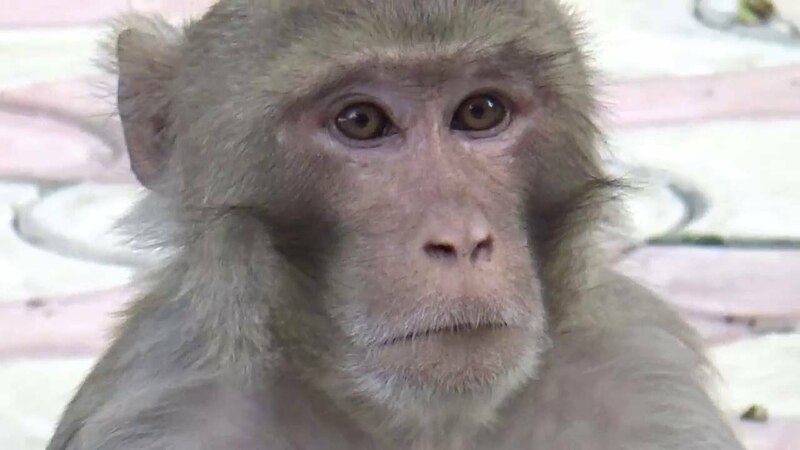 There were, however, two things that quite rightly puzzled the family: although there are hundreds of Rhesus monkeys on the nearby island of Cayo Santiago – at the Caribbean Primate Research Center – there should not have been any on mainland Puerto Rico. Plus, Rhesus monkeys live chiefly on fruit, cereal and seeds. Occasionally, they will eat bugs and grubs. They are not, however, noted for launching concerted, savage attacks on fully grown pigs. Or, more correctly, normal Rhesus monkeys aren’t known for doing that. The story was a great one, and Mark was practically ecstatic about the possibility that the Chupacabras were really crazed monkeys. He was also enthused by Guanina’s theory that the 1975 “Moca Vampire” wave was also prompted by attacks by dangerous monkeys. But, the footage never made the cut. Just another few days of memorable, monstrous weirdness! The late Award-winning journalist and New York Times Best Selling author Jim Marrs presented a program on what the military-trained remote viewers experienced when using this mental technology to study alien life forms at the 2016 Ozark Mountain UFO Conference. Remote Viewing, a psychic technique developed and utilized by the U.S. Army, may have been instrumental in ending the Cold War as there were no longer any secrets thanks to the psychic experiments on the part of both the Soviets and the U.S. This practice has since been used to take a look at the different extraterrestrial species interacting with the Earth. 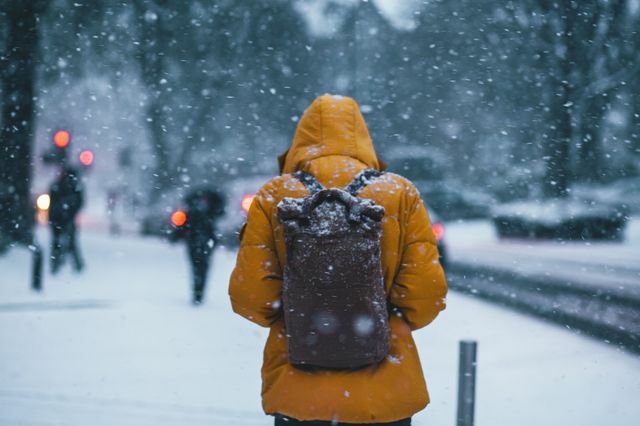 “Snow is already charged, so we thought, why not bring another material with the opposite charge and extract the charge to create electricity?” said co-author Maher El-Kady, a UCLA assistant researcher of chemistry and biochemistry. 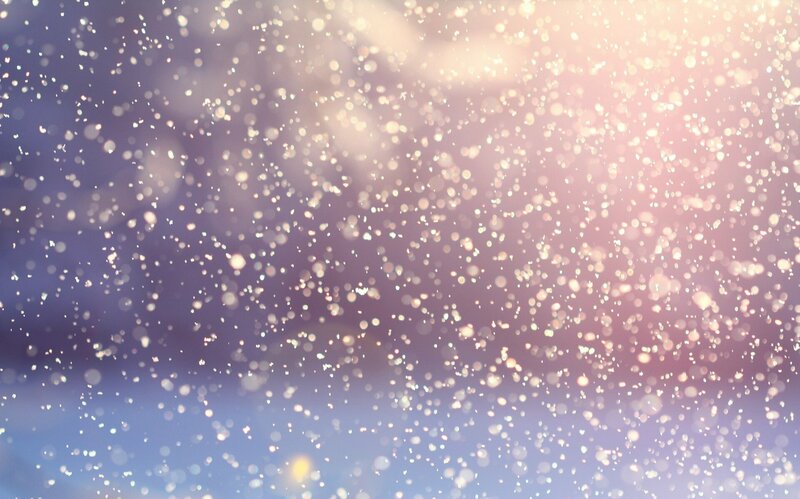 All printable snow-based triboelectric nanogenerator. The new Earth-sized planet is likely a rocky though uninhabitable world, as it circles its star in just 7.8 days — a relatively tight orbit that would generate surface temperatures on the planet of up to 800 degrees Fahrenheit. NASA’s Transiting Exoplanet Survey Satellite (TESS), shown here in a conceptual illustration, will identify exoplanets orbiting the brightest stars just outside our solar system. The discovery of this Earth-sized world is nevertheless exciting, as it demonstrates TESS’ ability to pick out small planets around nearby stars. In the near future, the TESS team expects the probe should reveal even colder planets, with conditions more suitable for hosting life. TESS has been hunting for planets beyond our solar system since it launched on April 18, 2018. The satellite is a NASA Astrophysics Explorer mission that is led and operated by MIT, and is designed to observe nearly the entire sky, in overlapping, month-long patches, or “sectors,” as it orbits the Earth. As it circles our own planet, TESS focuses its four cameras outward to monitor the nearest, brightest stars in the sky, looking for any periodic dips in starlight that could indicate the presence of an exoplanet as it passes in front of its host star. Dragomir picked out this newest, Earth-sized planet from the first four sectors of TESS observations. When these data became available, in the form of light curves, or intensities of starlight, she fed them into a software code to look for interesting, periodic signals. The code first identified a possible transit that the team later confirmed as the warm sub-Neptune they announced earlier this year. As is usually the case with small planets, where there’s one, there are likely to be more, and Dragomir and her colleagues decided to comb through the same observations again to see if they could spot any other small worlds hiding in the data. The team identified a small dip in the light from HD 21749, that occurred every 7.8 days. Ultimately, the researchers identified 11 such periodic dips, or transits, and determined that the star’s light was being momentarily blocked by a planet about the size of the Earth. While this is the first Earth-sized planet discovered by TESS, other Earth-sized exoplanets have been discovered in the past, mainly by NASA’s Kepler Space Telescope, a since-retired telescope that monitored more than 530,000 stars. In the end, the Kepler mission detected 2,662 planets, many of which were Earth-sized, and a handful of those were deemed to be within their star’s habitable zone — where a balance of conditions could be suitable for hosting life. However, Kepler observed stars that are many leagues further away than those that are monitored by TESS. Therefore, Dragomir says that following up on any of Kepler’s far-flung, Earth-sized planets would be much harder than studying planets orbiting TESS’ much closer, brighter stars. Extraordinary story of a man who worked at the very top. Traveling back to Earth, having just walked on the moon, Apollo 14 astronaut Edgar Mitchell had an experience for which nothing in his life had prepared him. As he approached the planet we know as home, he was filled with an inner conviction as certain as any mathematical equation he’d ever solved. He knew that the beautiful blue world to which he was returning is part of a living system, harmonious and whole—and that we all participate, as he expressed it later, “in a universe of consciousness.” Trained as an engineer and scientist, Captain Mitchell was most comfortable in the world of rationality and physical precision. Yet the understanding that came to him as he journeyed back from space felt just as trustworthy—it represented another way of knowing. 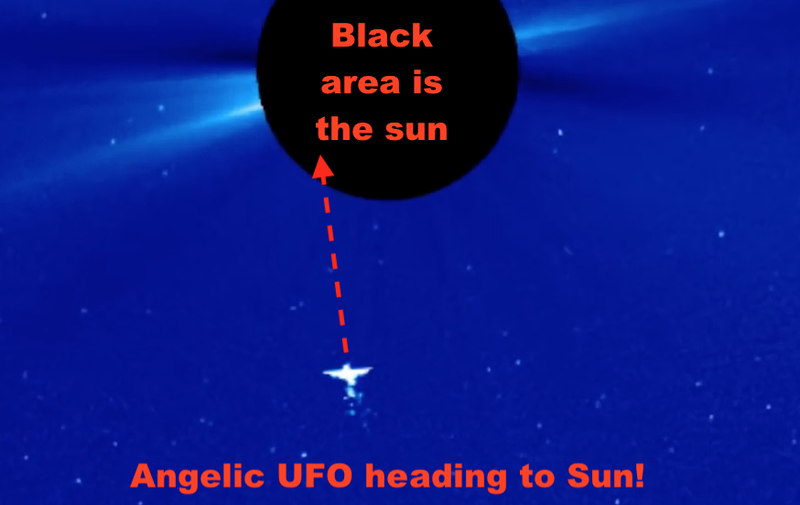 Angelic UFO Followed By Small Armada Of UFOs Near Earths Sun, April 2019, Video, UFO Sighting News. 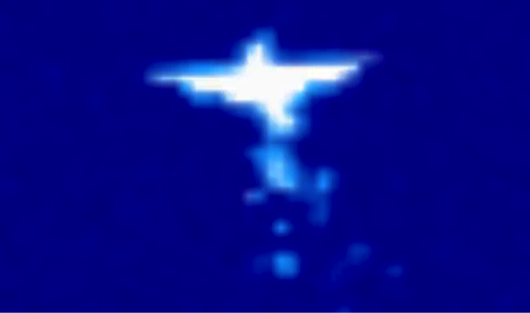 An eyewitness found this angelic UFO in the SOHO/NASA website which show images of filtered sun photos. This angelic craft has been seen many times over the last few years. Every time it has a few smaller ships behind it when it travels. That is probably for safety reasons. Smaller ships might be in danger in space alone, but if they travel behind a larger ship, then they are guaranteed a degree of safety. Since they are heading toward our sun, I can assume that I was right when I said in the past that the Sun is hollow and being used by aliens. Hollow sun theory, a concept I invented and this is 100% evidence that I was correct. 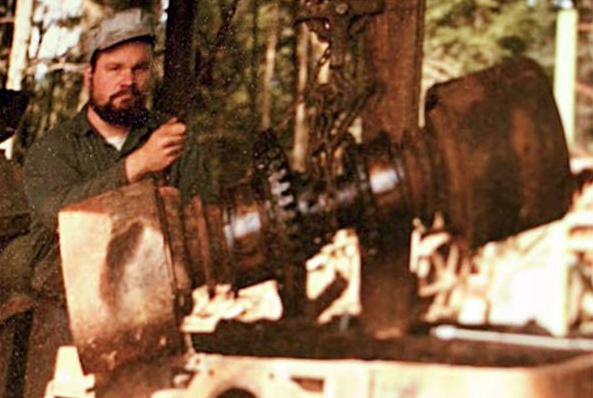 Here is a man who was considered a mechanical genius. Who found an old train engine in the forest, hauled it out and restored it. Who built a WW2 plane by hand and much more. 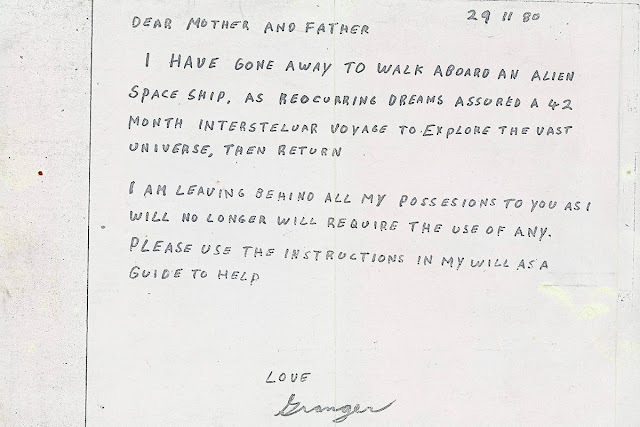 He said he could communicate telepathically with aliens and left a note to his parents saying that he was going on a long trip but would be back. That was 40 years ago and he is still missing today. 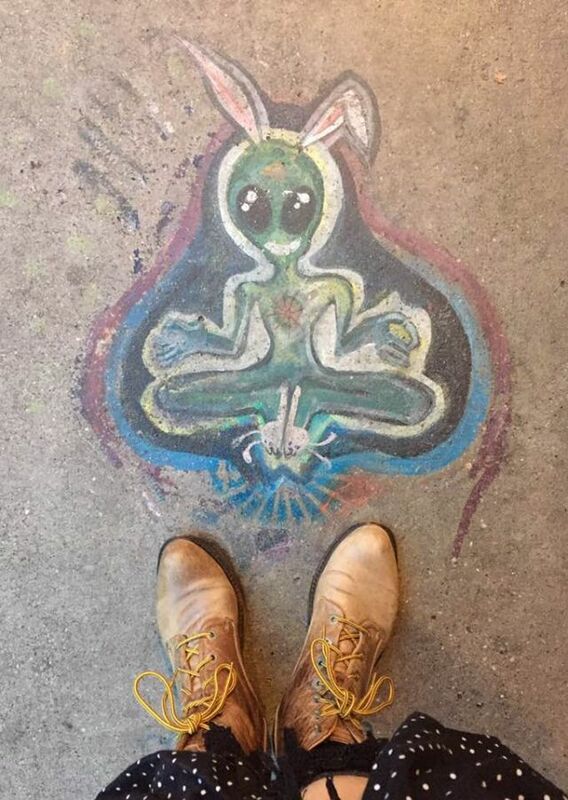 There is no doubt in my mind that aliens do telepathically connect with some humans who put in the effort to try and some even get a chance to meet them. I do believe that Granger Tylor did actually do what he said he said in the note. He was too intelligent and too serous of a man to act irrationally. So, somewhere out there is our little buddy on some alien world living among a alien species and communication and learning things we can only dream about. What are the benefits of living with a space faring species? Well, eternal life is one...aliens would have such advanced technology that its possible to extend your life for thousands of years and maybe forever. For another they could genetically enhance him to learn more, retain more information and basically be more on the aliens intelligence level than our lower primitive level. With such a stimulating environment I totally understand why he never came back home. 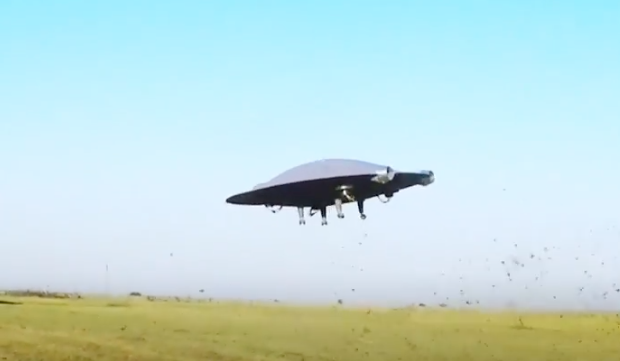 This Remote control drone UFO was made by a Japanese person and really could be mistaken for a UFO if it were in the right light and position. I believe a lot of UFO researchers are going to have to keep an eye out for these RC toys that could potentially be mistaken for the real thing. Don't get me wrong, toys are fun for kids, however I do believe deceiving people on purpose is not only immoral but unethical. But if you notice that this UFO has two back fan areas for propulsion forward and the four landing legs with some other protruding loose wires...it can be easily deduced (if close up) that its just an RC toy. But toys are looking more and more real. There are reports about real UFOs the size of a baseball, one of which I was personally witness too a few years back. It was an semi transparent orb. Nothing like this primitive looking craft. Imagine this...a triangle the size of a island rises out of the Pacific Ocean in front of your eyes. This is what happened to Youtuber MrMBB333 this week. 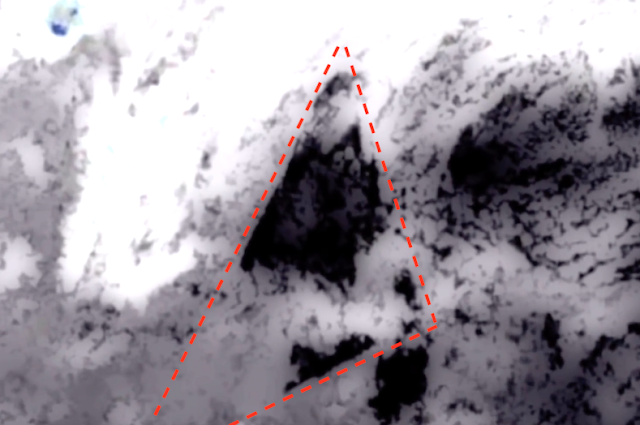 As you see from the video below, this dark triangle rose up from the ocean and hovered for seven full hours before disappearing. Why? Because the ship cannot enter space when water is still on the ship or it will disrupt their electrical shields and could compromise the ships outer hull if it freezes in space. Imagine a ship traveling at the speed of light...can you imagine how cold that water would get on the outer hull and how it could throw off navigation too? Yeah, so the giant ship waited for the water to drain off of it. Must have been as big as an island. What appears to be TWO LARGE stationary crafts visible by satellite! Same location for 7 hours. 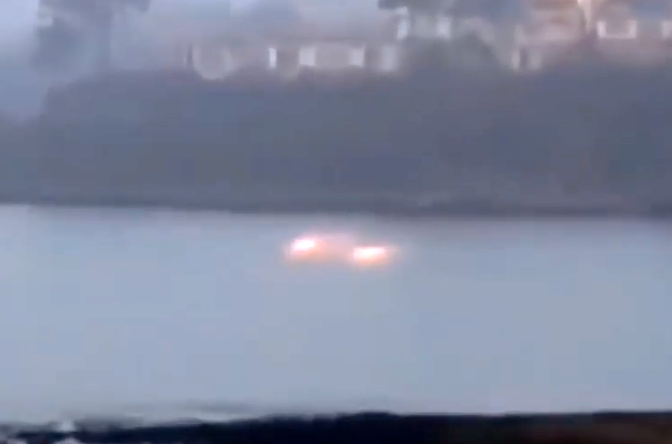 The eyewitness caught two glowing orange UFOs in hovering over the waters surface in Scotland this week. The UFOs seem to be each about the size of motorcycles. At about .7 meters high and 2 meters long each...these UFOs must have come up from below the water. There are many alien underground bases around the world, often in mountains or volcanoes, but most are underwater locations to stop humans from stumbling upon them. I think what we have discovered is a new location of an old alien base in Scotland. 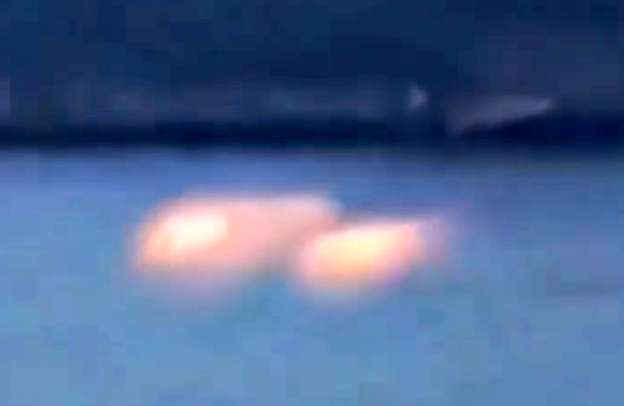 These two UFOs are very similar to the famous Florida coast sighting by Dr Steven Greer back in Feb of 2015 when they saw two glowing orange UFOs hover for over ten minutes by a dozen eyewitnesses I will put the video of that 2015 event at the bottom of this post to compare and contrast. Two UFOs shot past the Chinese module when it was docking at the Shenzhou space station. The Tiangong module is 3.35 meters wide. Using that measurement and comparing in the photo to the UFO, I come up with a UFO size of .33 meters or one foot across. That is a huge object to be near the module as its departing the space station. And the fact that there are two of them is absolutely amazing. The small UFOs were traveling in the same direction so they were probably together keeping watch over the Chinese and their activities in space. These are alien controlled drones. They appear whitish far away, but close up more transparent and opal color when a 2 meters away or closer. People suffered too. Mankind was knocked backwards by this cataclysm into even more primitive stone-age ways of life, leaving sickly, frightened communities battling for survival. Vegetation, and the animals that grazed it, could not live in the weak half-light of day or the starless black of night. And without them, life was bleak and hard. Many years passed before the dust settled and the stars could be seen again. The sun and moon gradually strengthened and slowly the natural order of things returned. But this devastating cataclysmic event was not forgotten. In the Fertile Crescent, modern day southern Turkey, the surviving Natufian tribes memorialized this great catastrophe by erecting Gobekli Tepe, the world’s first temple. The event had changed them – made them more fearful and religious. They prayed at their new stone temple for protection, deliverance, and anything else that might help. And they watched the sky, very carefully. Their community swelled and their temple grew. Needs were met and they further developed agriculture to support the growing number of sedentary mouths that camped within sight of their monument. Centuries passed and their community developed new skills. Their temple became more complex and ornate, and more famous. People gathered in their thousands, traveling for hundreds of miles, to witness the greatest accomplishment of their age. 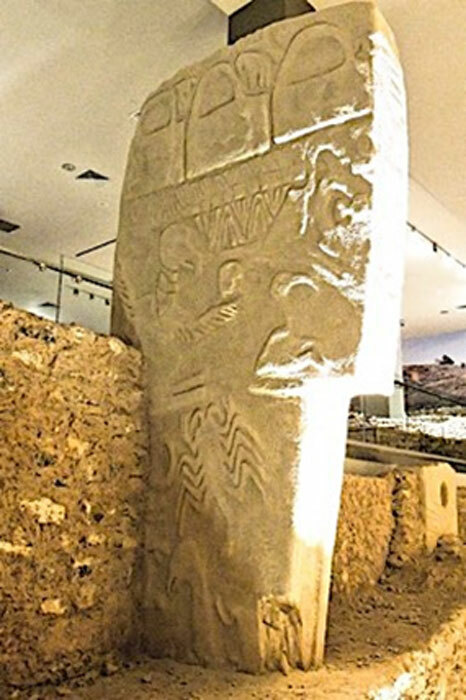 They came to read the messages, written with animal symbols and other abstract forms, on Gobekli Tepe’s giant stone pillars, and to take part in its religious ceremonies. Civilization had begun. Gobekli Tepe archaeological site, southern Turkey. It spread like a contagion. The potent mix of religion and agriculture propelled this new lifestyle outwards into the Eurasian and African continents. The greatest revolution in history was underway. But nothing lasts forever in this world. In time, new cultural centers arose that out-competed Gobekli Tepe. New fashions took hold in each capital, promulgated by those with much to gain, and Gobekli Tepe’s star slowly faded. Three thousand years after it was founded, Gobekli Tepe was purposefully buried to protect its heritage. The messages written on its walls, effectively witness accounts of the darkest catastrophe in 20,000 years, were hidden from waves of marauding invaders, scheming looters, and many others that walked over it. Until, that is, they were rediscovered by Klauss Schmidt in 1994. Twenty years after that, Paul Burley and Graham Hancock found the key to unlock these messages and they were read properly again, for the first time in 10,000 years and by me two years ago. 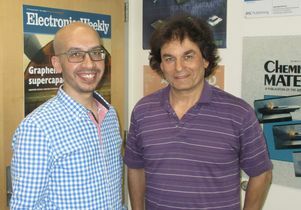 Hardly believing what I had stumbled upon, I wrote a peer-reviewed paper, with my colleague Dimitrios Tsikritsis, that hit headlines across the world. Our ‘Fox’ paper showed the animal symbols at Gobekli Tepe, apart from snakes, represented constellations – the same constellations we know in the West today. The snakes emanating or threatening the animal symbols therefore represented meteors from the Taurid meteor stream. One pillar in particular, Pillar 43, is especially important as it allows their writing to be decoded using statistical methods. It is our Rosetta Stone. And the message written on this pillar is profound – as it very likely encodes the date of the Younger Dryas event itself, written in terms of precession of the equinoxes. This pillar reveals many new insights that overthrow commonly accepted norms of scholarship. It is revolutionary. Most importantly, it tells us that ancient people were far more sophisticated astronomers than previously thought. And it also confirms that Clube and Napier’s coherent catastrophism, a theory that proposes multiple devastating comet impacts on Earth over the last 20,000 years or so, with perhaps more to come, is correct. Essentially, it tells us to ‘beware’, for the cosmos is not as safe as once thought. Clearly, this is not the story we tell our children, or we were told as children. Most academics across the Earth Sciences still hold to the ‘uniformitarian’ paradigm developed over 200 years ago by James Hutton, which reassures us that Earth is safe from these kinds of devastating impact. 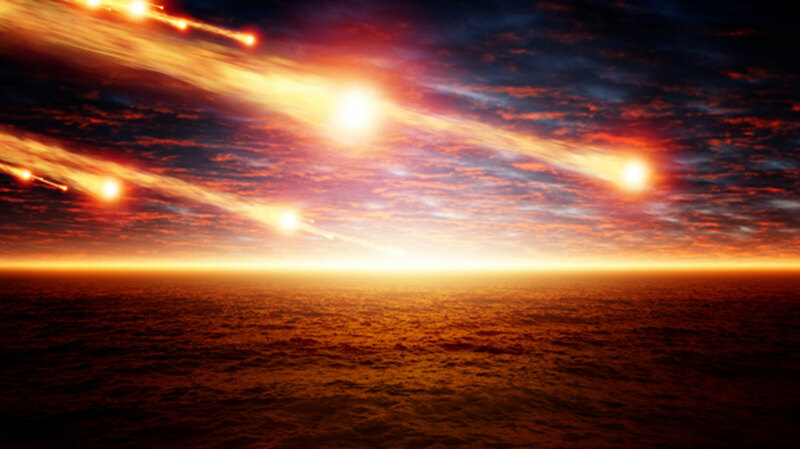 While the dinosaur-killing asteroid story has been bought by most, uniformitarianism maintains that such events could not have happened over the timespan of human development. These events are, supposedly, about as rare as fairies. But we now know this view is wrong. It is a delusion. Uniformitarianism is dead and should be buried. In any case, every scientist should automatically be suspicious of it. In technical terms, uniformitarianism is an extreme form of ‘extrapolation’. It proposes that only the geological process we have witnessed over the last few hundred years (corresponding to the scientific revolution) can have ever happened on Earth, or at least within the last few million years. It effectively ignores rare events, in particular those originating from space. But as any decent scientist knows, rare events often dominate complex systems, like Earth’s environment. And, in general, extrapolations are normally avoided altogether in science, or used only with great caution. So why has uniformitarianism been so popular? I’m not sure of the answer to this. Possibly there is a psychological dimension to it. Perhaps, speaking generally, we would rather not confront the dangers that face us, especially if there is little we can do about them. Nevertheless, from a scientific perspective, uniformitarianism is wholly unsatisfactory and needs to be binned. How can I be so confident of this? How can I state with such assurance that most of academia has got it wrong, while I and at least 70 other scientists (including the Comet Research Group) are right? Well, apart from the lunacy of uniformitarianism, there are three major lines of physical evidence the cataclysm to draw on, each of which is iron-clad and revolutionary in its own right. Combined, they all point in the same direction to provide an unassailable paradigm changing case. Briefly, there is the geochemical, astronomical, and archaeological evidence. Beginning with geochemistry, it is now known that a disaster of cosmic dimensions struck earth nearly 13,000 years ago. Nanodiamonds, microscopic iridium-enriched magnetic grains and elevated levels of platinum, all of which are strong indicators of a comet impact, have been found at the base of the Younger Dryas Boundary (or Black Mat) – a ubiquitous layer of discolored sediment dating to the onset of the Younger Dryas mini ice-age. Their presence, spanning at least three continents, has been confirmed by multiple independent research groups within the last 10 years. Moreover, a frozen layer of platinum dust occurs in the Greenland ice sheet at precisely the same time ‘horizon’. Attempts to refute this evidence are badly flawed in a fundamental and surprisingly basic way. The Younger Dryas ‘black mat’. Next, there is the astronomical evidence. Observations of comets beyond Jupiter, the frequency with which they enter the inner solar system, and their fragmentation within the inner solar system , all suggest that intense comet impacts on Earth with global consequences are expected on the timescale of human development. Distribution of the Younger Dryas Boundary. Moreover, observations of comet fragments accompanying Encke in the Taurid meteor stream, along with the massive zodiacal dust cloud, strongly suggest they should also have occurred on the even shorter timescale of human civilization. Indeed, it would be a major surprise if none were found. Therefore, an event on the scale of the Younger Dryas impact nearly 13,000 years ago is entirely expected. Break-up of comet 73P, Schwassmann-Wachmann, observed with the Spitzer Space Telescope. Finally, we have the animal symbols at Gobekli Tepe and in cave art. The general view is that these are examples of ‘animism’, a kind of shamanism. However, we now know, without a shadow of doubt, that these animal symbols are symbolic, and actually represent the same star constellations we know today on the various equinoxes and solstices. They demonstrate that precession of the equinoxes was known many tens of thousands of years ago, and therefore that Hipparchus of the Ancient Greeks were not the first to discover this effect in the 2 nd century BC, as commonly believed. Gobekli Tepe and Pillar 43 provided the key to understanding this, but our Fox paper left some room for doubt. This doubt has been effectively eliminated by my more recent peer-reviewed paper, this time with Alistair Coombs, that demonstrates that the same zodiacal system can be used to ‘read’ west European cave art, such as at Lascaux, Chauvet and Altamira. Indeed, the Lascaux Shaft Scene can be interpreted as a memorial to another devastating comet impact, this time in 15,150 BC. This is no mere speculation – our zodiacal theory has been proven in a scientific sense. A Circular Egyptian Mythology: Does the Dendera Zodiac Represent the Most Ancient Astronomy? 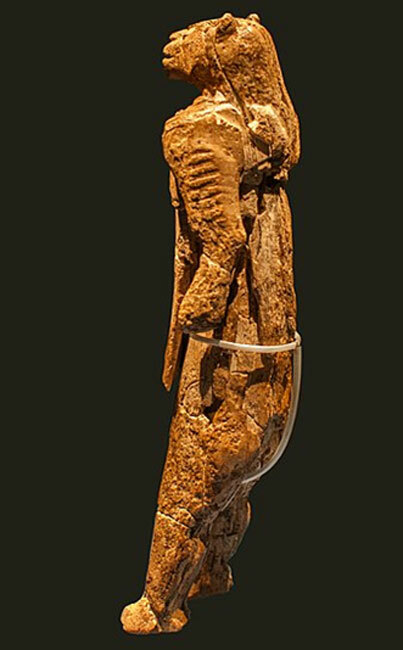 Indeed, even the earliest accepted example of figurative art, the 40,000 year old Lion-man of Hohlenstadel cave, obeys this zodiacal system – in this case this sculpture likely represents the constellation Cancer on the winter solstice at that time. All this evidence, and more, is summarized in my recent book Prehistory Decoded . As well as piecing this evidence together to create a coherent picture of the last 40,000 years, I also show how it relates to the origin of civilization, the origin of religion, and the true age of the Great Sphinx . Prehistory Decoded is available online in hardback and paperback. Top image: Taurid meteor shower 13,000 years ago. Source: IgorZh / Adobe . Martin Sweatman is the author of Prehistory Decoded, available from Amazon.com and Wordery. Archaeologists have announced the discovery of a shipwreck loaded with copper ingots in the Aegean Sea that dates back 3,600 years, making it the oldest shipwreck ever found. It is the most important finding in underwater archaeology in at least the last decade. According to Anadolu Agency, the discovery was made by a team of experts from the Underwater Research Center of the Akdeniz University (UA) in Turkey. A team of expert divers was assembled and investigated the wreck using the latest technology. They found a massive haul of copper ingots that weighs of 1.5 tons. According to 9 news , the vessel was ‘carrying the earliest industrial products in the world’. Copper was very much prized in the Bronze Age and was used to manufacture weapons, jewelry, tools, and many other valuable goods. The divers and researchers identified the cargo by conducting ‘three-dimensional scans of the shipwreck via sonar surveys, photographic mosaic and photo-scanning’ according to Daily Sabah . The ingots were removed from the site and examined by the team and these allowed the wreck to be dated. A preliminary investigation, by Turkish and international experts, has established that the boat dates to approximately 1600 BC. The Daily Mirror quotes Archaeologist Hakan Oniz as stating "from the typology of the bullion, we determined the shipwreck was one of the merchant vessels of the 16th century BC’’. More tests such as carbon dating may also be carried out in the future to confirm the dating. If dating is confirmed, then the newly-discovered shipwreck will be the oldest sunken ship that has ever been found, and an incredible 1200 years older than the Greek merchant ship found off Bulgaria's Black Sea coast last year, which had been described as the world's oldest known intact shipwreck. 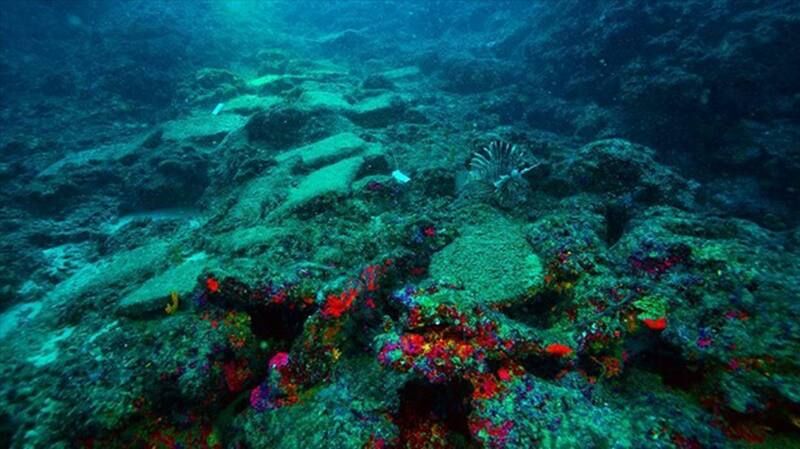 It is also centuries older than the Uluburun shipwreck , which dates to approximately 1400 BC, and is not intact but was the oldest that had been found prior to this new discovery. This sunken ship was also found off the coast of Turkey and many artifacts from the wreck are on display in a museum in Bodrum. Sudden storms are not uncommon in the Aegean and many ships lay submerged on the seabed. This makes the waters off the Turkish coast so rich in underwater archaeological sites and treasures. There are an estimated 167 underwater sites off the Western coast of Turkey. Imaging of ROV visiting the previous oldest intact shipwreck known, found at the bottom of the Black Sea. It seems likely that the merchant vessel sunk in a storm and while transporting copper from Cyprus, which was a very important producer of mineral ore in the Bronze Age. It is speculated that the ship was sunk on its way to an unidentified destination on the coast of Turkey. There is also a theory that it may have been on its ways to the island of Crete which was the home of the great Minoan Civilization . The exact location of the submerged vessel has not yet been revealed because of fears that it could be looted. A five-year plan to excavate and preserve the site has been announced and more discoveries are expected to be made at the site. It is hoped that any artifacts found will be exhibited at a planned new museum. The local governor compared the wreck to the site of 'Gobekli Tepe', which is changing our understanding of how societies evolved. Here the oldest temple yet found is providing clues as to how early societies evolved and the role of religion. The wreck could provide new insights into the Bronze Age, especially its international trade and relations. Declassified documents reveal Project Horizon 1959: Plans of the United States Army to build a manned lunar outpost. It isn’t a secret that Earth’s moon has been considered as a critical strategic celestial body. Looking back at history, we will find that numerous countries had planned ‘scientific’ outposts on its surface. However, there are certain documents that have only recently revealed militarization projects of the moon. On June 9, 1959, the United States Government decided that the construction of a lunar outpost is of great importance to the country. Project Horizon: The establishment of a Lunar Outpost was created in response to growing interest of other nations, like the Soviet Union in the militarization and exploration of the moon. However, its primary goal was to protect potential United States interests on the lunar surface. During 1959, the Space Race was adopting a whole new level. Two years after the initial proposal of Project Horizon, the first Apollo mission would launch, on October 27, 1961, creating a new chapter in the history of mankind. However, countries around the globe –primarly the US and the Soviet Union—werent only planning traveling to the moon and placing astronauts into orbit around the planet, their plans were way ahead of time, and they had numerous projects already lined up that would have kickstarted the militarization of our solar system. The rapid advances in propulsion, electronics and space medicine and other astronautical sciences in the 1950’s would have allowed the successful construction of a military outpost on the moon. The outpost was planned to be of sufficient size in order to contain sufficient equipment that would later be used in the militarization and exploration of the moon. The military outpost was designed in order to allow the survival and moderate, constructive activity of ONE person, and 10-20 on a sustained basis. During planning, researchers considered that the outpost needed to be designed for expansion facilities, supply and operation of personnel in order to maintain the maximum extension of sustained occupancy. The futuristic project of 1959 was planned to be self-sufficient for as long as possible without any additional support from Earth. However, not only was Project Horizon the first step of lunar militarization, the base was designed so it could sever as a permanent manned installation on the moon, which eventually would allow the investigation of scientific, commercial and military potential on the lunar surface. 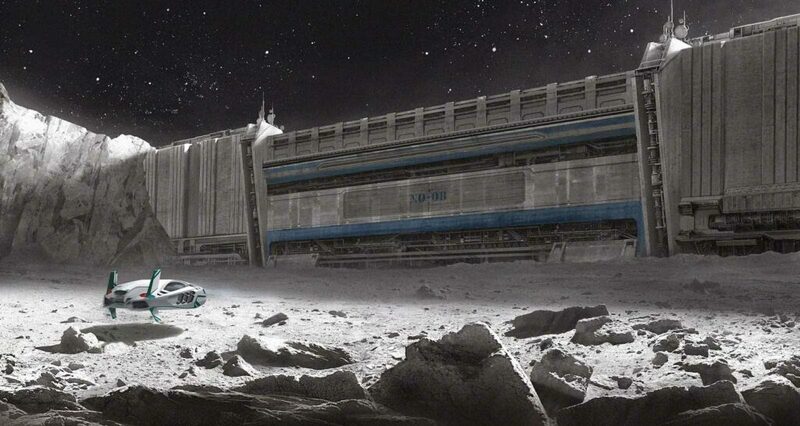 The lunar outpost was intended to serve as an observation post which would facilitate –in the near future—travel between Earth, the moon and eventual exploration of our solar system and outer space. Support scientific explorations and investigations. Extend and improve space reconnaissance and surveillance capabilities and control of space. Extend and improve communications and serve as a communications relay station. Provide a basic and supporting research laboratory for space research and development activity. Develop a stable, low-gravity outpost for use as a launch site for deep space exploration. Provide an opportunity for scientific exploration and development of a space mapping and survey system. Provide an emergency staging area, rescue capability or navigational aid for other space activity. Take in count that all of this was possible in 1959. Over half a century later, with the numerous technological advancements, just imagine what we are capable of. A document published by Wikileaks clearly implies that the United States had a "secret" base on the Moon that was destroyed by Russia. It's one of many interesting documents that suggest strange things are and have been happening on the Moon. Is our world really as it's been presented? There are millions of pages of documents that are classified by multiple countries every single year, how is it possible to really determine what's going on behind the scenes? Why does secrecy rule? Er is een WikiLeaks-document opgedoken waarin valt te lezen dat Rusland een geheime basis op de maan heeft vernietigd. De volledige tekst van het document is niet publiek beschikbaar, maar kan wellicht worden opgevraagd via een Wob-verzoek. Het document, dat dateert van 24 januari 1979, suggereert dat er mogelijk oorlogen worden gevoerd in de ruimte en dat de Verenigde Staten beschikken of beschikten over een geheime maanbasis. Het stuk is afkomstig van het Bureau of European and Eurasian Affairs van het Amerikaanse ministerie van Buitenlandse Zaken, en opgestuurd naar Samuel L. Devine. Hij was tussen 1959 en 1981 lid van het Amerikaanse Huis van Afgevaardigden. Verder is aangegeven dat het stuk op 17 december 2012 is vrijgegeven door de Amerikaanse overheid. Verschillende klokkenluiders hebben gezegd dat de Amerikaanse ruimtevaartorganisatie NASA geregeld foto’s van bouwwerken op de maan bewerkt of vernietigt. 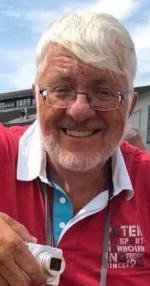 Een andere klokkenluider is dr. Ken Johnston. Hij werkte ten tijde van de Apollo-missies in het Lunar Receiving Laboratory. Hij zou ruim 40 jaar geleden opdracht hebben gekregen om foto’s van bouwwerken te vernietigen. Johnston besloot de foto’s echter te bewaren. Bekijk het document hier in het archief van WikiLeaks. If it’s springtime in the Northern Hemisphere, that means it’s time for crop circles to begin popping up in England and other places where there are large farms and people with time on their hands. Or extraterrestrials anxious to send messages using that sophisticated communications device known as the “field.” China is in the Northern Hemisphere, which makes the news from the Qinghai Province in the central northwest part of that country doubly puzzling. Instead of an overnight crop circle, residents discovered an ice circle carved into or painted on the ice covering Qinghai Lake, the largest salt lake in China. Ice messages on a salty lake? 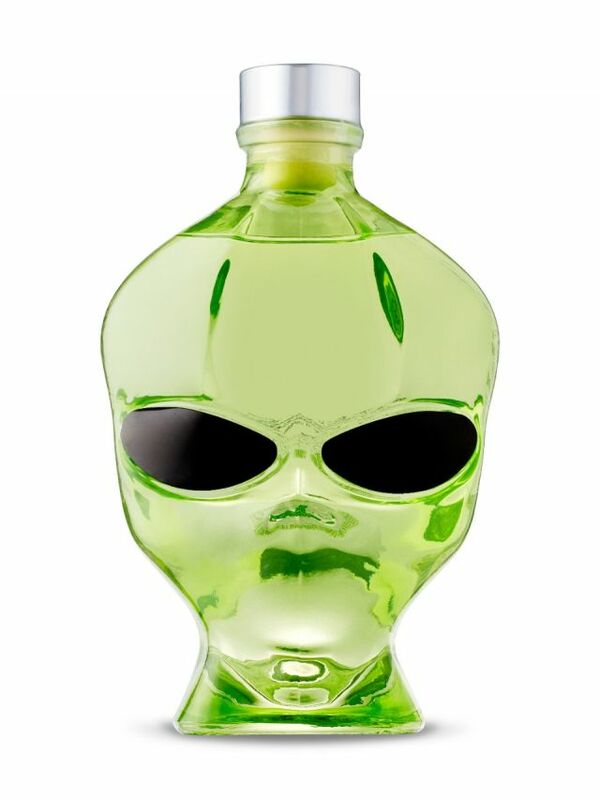 Have the aliens switching to sending messages via giant margaritas? “The specific reasons for the unknown are unknown.” Sounds like China News hired an ex-politician to write that description of a large circular picture on Qinghai Lake, a 4,489 sq. km (1,733 sq. mi) saline and alkaline lake located 3,205 m (10,515 ft) above sea level in a hollow of the Tibetan plateau. (You can see the photos of the ice circle from different angles here.) Before you ask … yes, it has a monster that People’s Daily posted a photograph of with the explanation, “The monster in Qinghai Lake looks like a dragon.” It’s also near a cave containing the Baigong Pipes – out-of-place artifacts that appear to be 150,000 years old in what appears to be an artificially dug cavern with a triangular opening. Connect those dots and it spells “Aliens!” to some, but scientists say sandstone, iron-rich sediment brought by floods and hydrogen sulfide gas could have combined and hardened into iron pyrite formations resembling metallic pipes. CGI? Possibly. A government cover-up of something it wants covered up? The Baigong Pipes are rumored to be alien artifacts (there are signs at the cave entrance saying they are) whose actual origin is protected by the government (not surprising – it’s China). The website segnidalcielo.it gives the big reveal — a drone video from the Facebook page of Mai Tian Quan that was purportedly made by an automotive company called AION which shows that the symbol is its logo. While it graphically displays the logo being placed on both the ice and in a field, the video gives no information on how they were actually made, leading many to believe the whole thing, including the pictures from the lake ice, are computer-generated. If the ice circle is human made, it’s impressive. If the auto company has developed some kind of aerial technique for burning circles into ice and crops, that’s even more impressive. Not as impressive as aliens or the Baigong Pipes, but impressive.